Firstly, the Chhattisgarh Pre Engineering Test takes place every year to give admission to the students to the various engineering courses. Then, the online application form for CG PET will be available from 19 March 2019. Candidates who want to apply for the admission procedure need to fill and submit the application form before the last date. 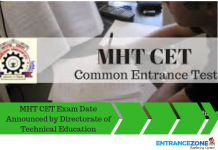 CG PET 2019 Important dates give an overview of all the important events which the candidate must follow so as to successfully appear for the examination and go all the way through the admission procedure as well. The Chhattisgarh Pre Engineering Test dates are yet to be released by Chhattisgarh Professional Examination Board also known as VYAPAM Board. Candidates will be able to access the online application form of CG PET 2019 from 19 March. Details about the candidates’ personal, academic and contact information has to be provided and submitted till 07 April 2019. 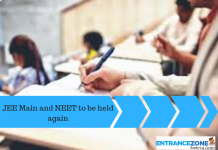 The authorities will release the admit card of CG PET 2019 for all registered candidates tentatively in the fourth week of April. 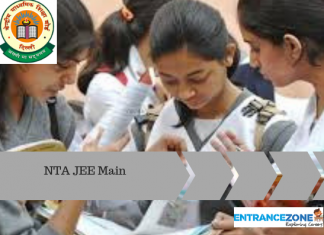 The admit card has to be kept safely since it will be required at the examination venue. Application form of CG PET will be available from March third week and the last date of form submission will lie in April first week. Candidates will be able to pay the fee through SBI Challan until 5 April 2019. 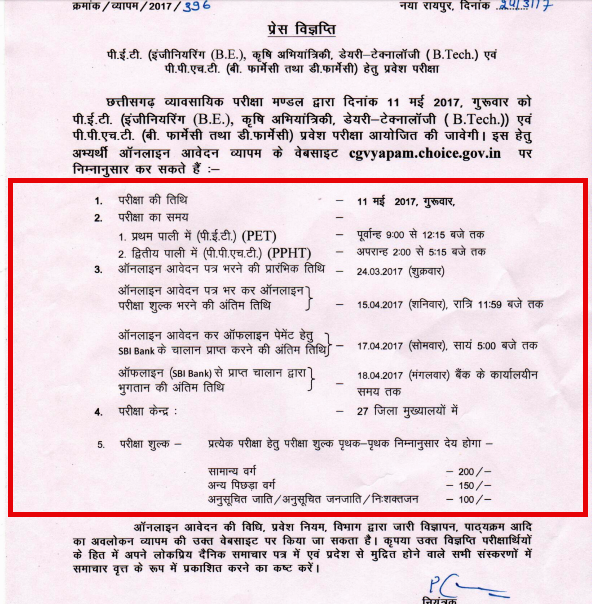 Further, admit card of CG PET 2019 will be issued from 23 April and Exam date will be held on 02 May 2019. Further, the result is published in June 2019. These are the tentative dates and any changes regarding the above events will be updated on the website as soon as the official notification is available. 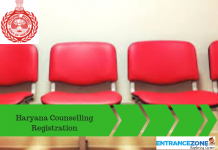 Soon after the results are declared, a counselling schedule too will be released for the selected candidates. Moreover, the counselling will take place in three phases – Phase I, Phase II and Phase III. 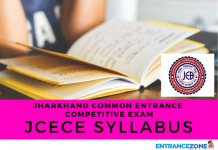 cg pet 2019 application form, pet exam 2019 Mumbai university, cg pet official website, cgpet 2019 syllabus, Mumbai university pet 2019.